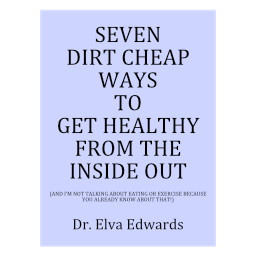 November 2016 – Dr. Elva Edwards, D.C.
How Many Chemicals are in You? Last week I watched the online series, “Betrayed,” which was a documentary on autoimmune diseases. It wasn’t on television because it supported the natural approach to curing these diseases. One of the main take homes was this: we are full of chemicals. These chemicals attach to different parts of our body, making it look different. That causes the immune system to respond to the “outsider.” That process is the birth of an autoimmune disease. A few statistics were given. One statistic that made me pause: 250 pounds of toxic chemicals per person are dumped in the US every DAY. That is amazing. No wonder we have to guard our health by making sure our food, air and water are as clean as possible. There is no way to avoid the chemicals. There is no place on earth to move to have a clean environment. We have to live in the midst of these chemicals and at the same time be vigilant about what we eat, drink and breathe for the sake of our health. Remember, good health is priceless! If you watched the series, feel free to leave a comment about something you learned! I remember the stories about the first Thanksgiving that I studied in elementary school. It might not be completely factual, but there is no doubt that, in many ways, our lives are so much easier these days. I am so grateful I don’t have to shoot Thanksgiving dinner! Even though life has its troubles, there is much for which to be thankful. If we aren’t careful, we can get in the habit of negative thinking, negative speaking and even negative behavior. This is a great week to make a decision to think positively, speak positively and behave positively. It doesn’t mean that you don’t have rational thought. Of course, we can’t help but see the positive and negative, but what I choose to bring more of into the world is the positive. Children watch you, listen to you and then behave like you. Give them the example that will support them in life. As a young girl in my life said about 15 years ago as we sat down to dinner, “let’s do that thing where we go around the table and everyone says what they are thankful for.” Happy Thanksgiving! I have the best patients! I really do. I love my Biomat and maybe I have introduced you to the Biomat. Normally I let patients take the Biomat home and try it for about a week to see if they like it. Right now, I have three Biomats out on loan. But they have been gone for a long time! Please bring them back! I have other people wanting to borrow them. I know they will return as I have the best patients!! And if you haven’t borrowed the Biomat and you don’t have anything in mind for Christmas, it is a wonderful family gift! But try it out first! Just give me a call. We are heading into the holidays as well as colder weather and both create a challenge for our health. If you need me, come now because I will be out of the office for Christmas vacation with my family from December 14-26. Give me a call today! And enjoy the good weather while it lasts! Don’t forget to cast your vote. And speaking of stress, according to Dr. Mercola’s article, referenced at the end of this health tip, 93% of Americans have reported this election is more stressful than any other they have experienced. A psychologist said she sees about 22 people a week and 15 of them will mention the election as being stressful during their session. Couples don’t speak for days because of issues related to the election and their opposed views. Sounds like it is time to do some deep breathing and take some rescue remedy! Instead of being one single event, the stress has been month after month and our society is psychologically exhausted! You can’t do anything right now about the election other than vote your choice, but you can do a few things for stress reduction. Try a couple of simple and easy things like deep breathing, rescue remedy, taking a walk and remember my detox bath. All of these acts will help the nervous system calm down. Pour the ingredients in a warm bath (I like very warm) and soak for about 20 minutes. Let the stress melt away with your relaxation! Click for the referenced article!